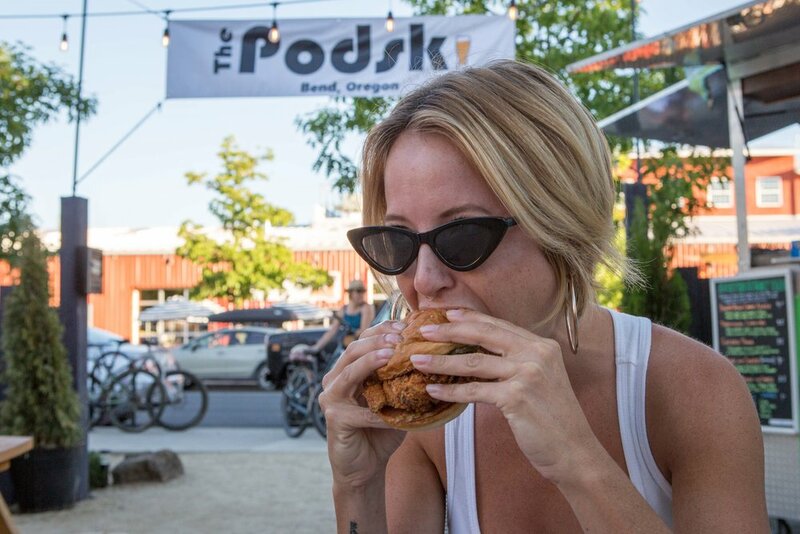 Centrally located between the Old Mill and Downtown Bend, The PODSKI offers up a wide variety of worldly food trucks, local beer and nothing but good vibes. Here at the Podski we've created a chill reprieve from the Bend hussle, filled with world class food, great brews and local spirit. Whether you're looking for amazing street tacos, the best fried chicken in town, perogies to die for, thai food rated #2 in The Source Best of Bend, Korean Fusion you wont be able to get enough of, awesome hair services and an AMAZING beer and wine selection....we've got you covered, all encompassed in a low key, local vibe. Come on down to our local watering hole and Feel the Vibe for yourself! Following a killer day on the slopes, warm up by the fire pit and enjoy the afternoon than with drink and food specials from our amazing PODSKI carts! WHAT - Food and Drink Specials from our variety of carts!